Fresh, seasonal vegetables are just one reason that summertime is a food lovers’ favorite season. This recipe for prosciutto wrapped asparagus isn’t intricate or complex but proof that the right ingredients offer beautifully layered tastes. 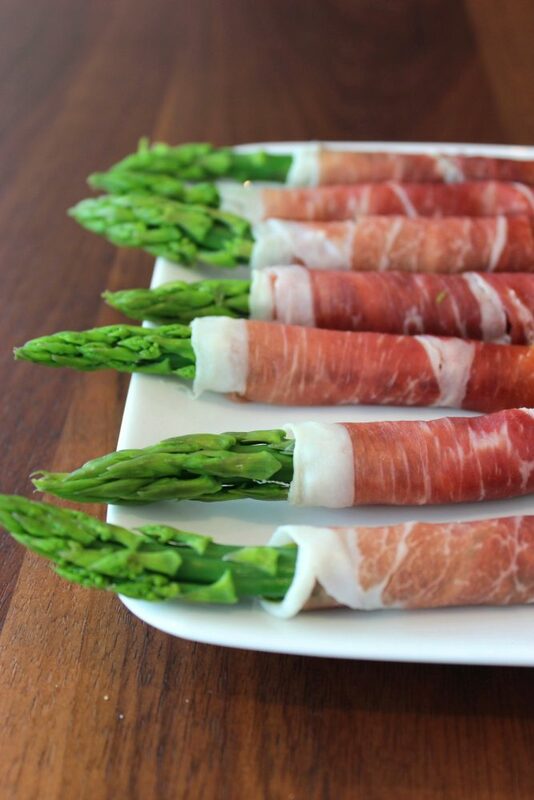 The Prosciutto di Parma provides a creamy and savory contrast to the crispness of the asparagus and makes for a fun way to snack on vegetables (kid-friendly anyone?). Want to add even more flavor? Try grilling the asparagus before wrapping it for a smoky taste everyone will love. Pair this prosciutto wrapped asparagus with a light wheat beer for one of the best bites of the summer. Take a look below for a quick and easy how-to video from Lucie Fink. In a medium pot over heat, boil water. Add asparagus and cook for 2 minutes. Immediately transfer asparagus to a bowl of ice water to keep its color. Let sit for 2 minutes, and then transfer to a paper-towel lined plate. Make sure asparagus is completely dry. Wrap each spear with a slice of prosciutto. Repeat with remaining ingredients.